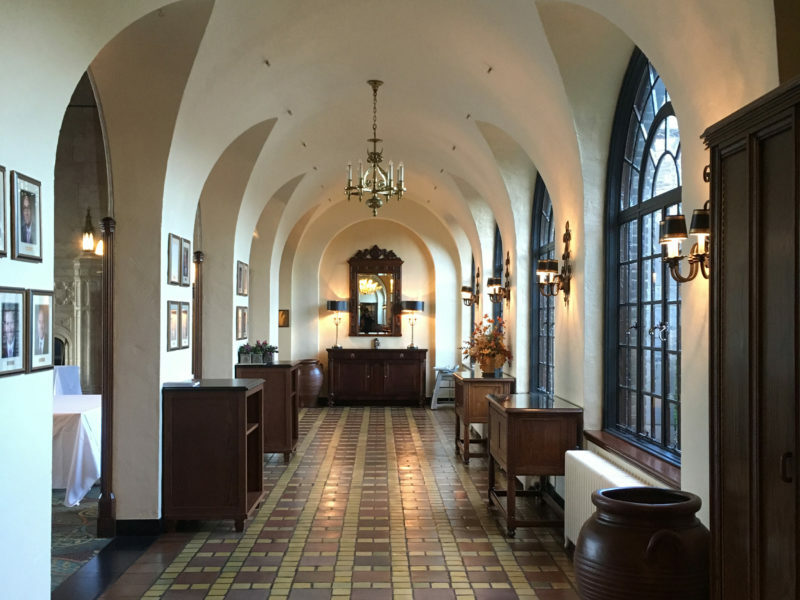 In 2016, HHL was engaged to design interior renovations to the existing 1927-built English-Scholastic Style Clubhouse. Improvements to 10,500 sq. ft. of existing member-use areas included Main Entry, Main Dining Halls, Loggias, Private Dining Rooms and Men’s and Women’s Toilet Rooms were undertaken. These areas had last been completely renovated in 1991. All toilet facilities.. Since 2016, HHL has been asked to design interior and exterior renovations to the venerable Oak Hill Country Club in Rochester, New York, a stately English Tudor Clubhouse constructed in 1926. The first small project was for improvements to existing second floor Men’s and Women’s Toilet Rooms. HHL Architects worked with Club management and oversight.. In 2017, HHL was engaged to design concepts for exterior firepits and interior renovations to the revered Monroe Golf Club in Pittsford, NY. HHL worked directly with Club Management and designated MGC committee, under their oversight. One design task resulted in two conceptual exterior firepit options, designed and rendered for different locations behind the Clubhouse,.. The Hyatt StayFit Fitness Center was relocated from the first floor of the Hyatt to the Genesee Room on the first floor annex at 6 Fountain Plaza. The project included general “fit and finish” renovations to accommodate the existing exercise equipment and established aesthetic. HHL Architects designed a concept for a new clubhouse for this golf course and country club. It was designed to complement and incorporate a former residence, the Wendt Estate. The design incorporates all facilities including, but not limited to, kitchens, dining rooms, bar, locker rooms and support spaces. The Banquet Hall seats 250 and the..
HHL Architects designed a small recreation complex to be used for swimming and tennis in the summer and cross-country skiing and snowshoeing in the winter. The main pavilion was constructed to block the prevailing winds off Lake Erie while providing a protected view of the lake through glass walls. Adjacent to the pavilion are heated..